Tony Jones celebrates 30 years at..
Tony Jones is celebrating 30-years with Channel 9 News. That’s 3 decades of reading sport and news in Australian homes, 5 nights a week. 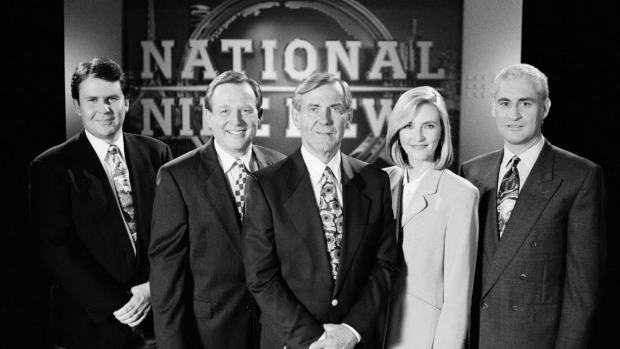 Tony has shared the desk with his friend and colleague Peter Hitchener for more than half of his time at Channel 9. He sat down on Wednesday morning with Ross and John to talk about his career. Tony says – ‘It is, but no more fierce than Carlton and Collingwood on a Saturday’. Tony Jones is a long time friend of 3AW, filling in for Neil Mitchell on occasion. 3AW would like to congratulate Tony Jones on a fantastic career and wish him all the best for the next 30 years.